Shy and dumb, Minori is the typical bullied girl. She witnesses a strong and beautiful fencing figure executed by Alice, who came back from France. Getting shocked and full of excitement, Minori decides to evolve and feels that "I want to change." A story of strong noble girls and youthful chivalry now begins!! Tatsuko Sachi was a stupid girl who remade herself as a 'genius' at a prestigious school in order to be near the boy she liked, Oumi Shouta. When Shouta decided to make a club to build missiles, she then agreed to be vice president. However, Shouta slacks off and leaves most of the work to Sachi. This becomes worse when a child-like girl named Onda Midori shows up, and Shouta spends all his time doting on her. Not even having super powers makes this situation easier to handle. 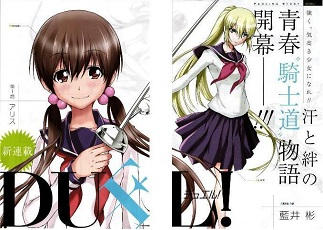 The manga follows with their stories and the stories of the other missile club members. In a fantasy world, with slight RPG-like element, the demon king has been revived and it is up to the Subjucators class to find him and slay him before it's too late. Follow Truza, a young subjucator, on his journey to slay the demon king, who threatens to destroy the world, along with his teammates he makes along the way. However, there is a dark secret that his teammates must never know about the Subjucator class. Dokumushi was my favorite this week, though I'd have to warn that it is pretty graphic. The idea is not a new one, but the variety of characters make the story interesting. I only had the first two chapters of Holy Holy, but it seems like it has potential. Missile to Plancktone was not really my style. 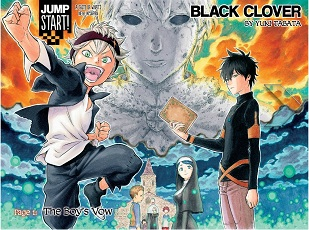 Black Clover seemed like a very standard battle shounen, but the story has been a fun one so far. 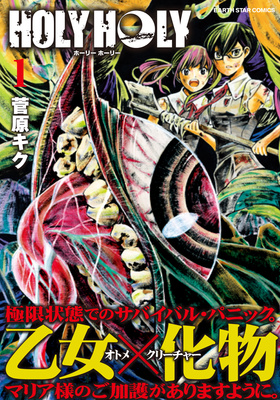 Doku Mushi - If you like survival-type manga with the chance for the people to turn on each other and possibly resort to cannibalism, then this manga may pique your interest. Duel - If you're interested in fencing, then you may want to check this out since there's already one chapter scanlated. 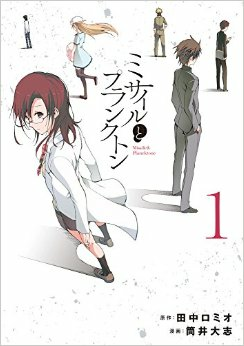 Holy Holy - If you like Lord of the Flies/Cast Away but with girls, then you may like this manga. 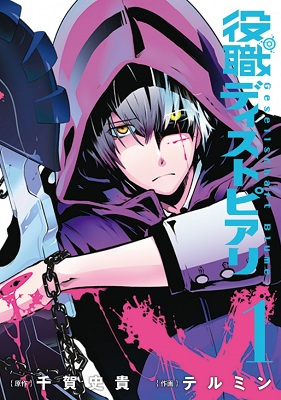 If you haven't done so already, check out the scanlations of the mangas from previous shout outs which have been recently scanlated: romance manga Futari no Renai Shoka (MH link), suspenseful horror Nemuri no Fuchi (MH link).